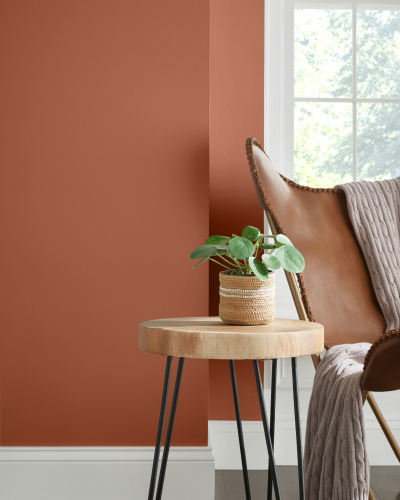 CLEVELAND – Cavern Clay (SW 7701) has been named Sherwin-Williams’ Colour of the Year for 2019, describing it as a warm terracotta colour with ancient, elemental roots. It’s also a nod to mid-century modern style but with the soul of the American Southwest, which together create the desert modern aesthetic. Cavern Clay is a part of the Wanderer color journal announced earlier this year in Sherwin-Williams’ 2019 Colormix Color Forecast and is a perfect choice for both residential and commercial settings. “Cavern Clay is an easy way to bring the warmth of the outdoors in. Envision beaches, canyons and deserts, and sun-washed late summer afternoons – all of this embodied in one colour,” says Wadden. It pairs well with other casual, balanced neutrals such as a warm gray or deep brown. Combined with Moth Wing (SW 9174) or Dark Clove (SW 9183), Cavern Clay evokes a carefree yet sophisticated aesthetic. Alternatively, consider a refreshed version of the popular ‘70s earth tone combinations by pairing Cavern Clay with a dusty denim blue, such as Distance (SW 6243) or even a fresh avocado, such as Haven (SW 6437). Even when paired with an Origami White (SW 7636), Cavern Clay is decidedly fresh. As designers, developers and builders aim to create more workspaces that feel like home, Cavern Clay’s warm and welcoming vibe make it a colour to watch for offices, hotels and restaurants. As an interior colour, it invites staff, clients or guests to open their minds and visualise mountain vistas, indigenous plants and trees. 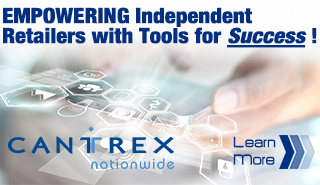 For more information on the forecast, visit swcolormix.com.